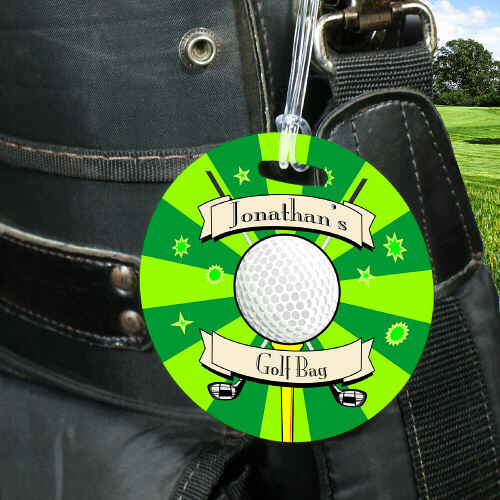 Dress up your favorite golf bag or create the perfect golf gift for family or friends with a Personalized Golf Bag Tag. This Personalized Golf Tag adds color and style to any golf bag. Locating your golf clubs at the airport or at the clubhouse will be a breeze with your Personalized Golf bag Tag. Nice quality. Very impressed. Unique gift for someone who has everything. Personalized Golf Sign " Perfect for your favorite 19th hole watering station!!" Personalized Golf Frame "Show off that hole in one... with our Beautiful Golf Frame"
Personalized Golf Doormat "Everyone will know a Golfer lives here..."
Personalized Golf Shirts "Our Personalized Golf shirts are perfect when shooting the back 9!"